Home Health Care - do you know who's at your door? Proceed with caution when looking for services you can receive! the professionals who could change your life. 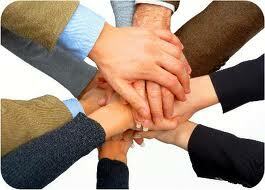 Home health care professionals are a genuinely compassionate breed all their own. I can confidently say that having been in the field for over 15 years as a physical therapist. We've helped thousands and thousands over the years and we're ready to help you too! Unfortunately, for many, the available services are unknown...something that is not posted on a bill board for an aging baby boomer generation to take note of for later use! 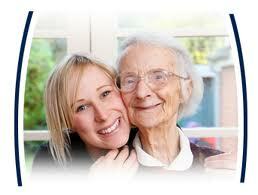 Medical home health care services are generally a short term solution to a difficult situation that has just come up. i.e. someone has fallen and broken a hip, suffered a stroke or heart attack or has just come home from the nursing home still very weak and at risk for falling. In these cases and a million more - home health care services are ready, willing and able to assist you through a rough time, setting goals for your recovery and helping your reach them. In an age of scam artists out to prey on the vulnerable and aging, however, you must be diligent in protecting yourself from allowing just any one to walk through your door. You'll benefit from reading Knock, knock - Who's There? (available soon), an informative e-book designed to keep you safe and help you double check who people say they are before you let them in. S - Specific - spells out exactly what you want - "I want to climb my stairs." M - Measurable - how do we know when the goal will be achieved? - "I want to climb 13 stairs." A - Attainable - challenge patients to do their best but goal must be attainable - "I've only sprained my ankle." R - Realistic - puts the challenge within the potential ability's of the patient - "I will be able to climb 13 steps soon." T - Timely - what is our time frame to achieve the goal - "I will climb 13 steps by the end of 6 weeks." Home care professionals are skilled not only in what they do, but how to help patients to accomplish the goals that will return them to independence , thus making home care a short term solution to a given circumstance. Are you ready to meet your home health professionals and discover how they can help you?